Zamigo shows up and shows he's no pushover. 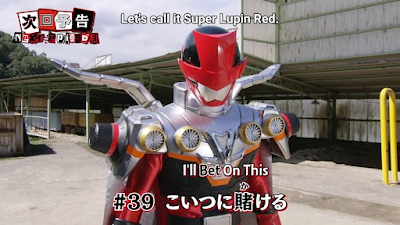 I was impressed at his fight scenes with Lupin Red are something. 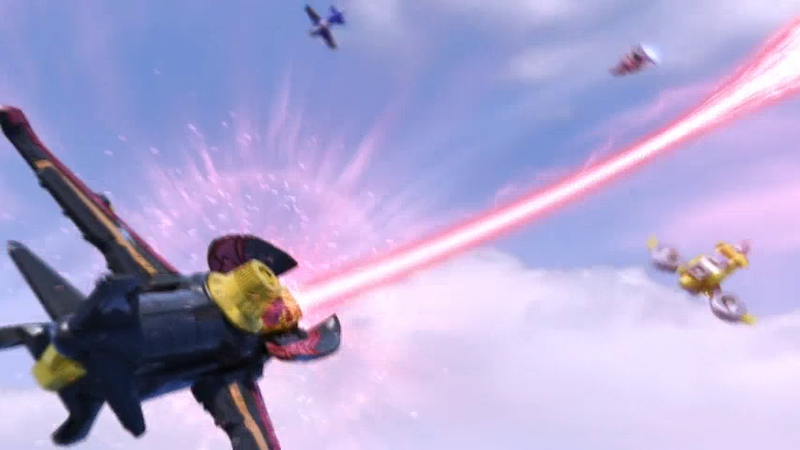 He shows he's no pushover by killing off Iselob Starfryed -- wow that's a lot of good shrimp puffs! he takes on Jarnake Saucer who possesses le power to control engines which proves itself useful. What I do like about this plot is how Jarnake Saucer's piece of le Lupin Collection causes some cool CGI fight scenes to occur. What do I like about this scene? Jarnake Saucer controls le Victory Striker and causes it to go berserk. Le Lupinrangers and their Dial fighters are really in trouble! Hmmm now where's Old Man Jenkins when you need him to throw his joke that says, "Nothing good could come from those city folks and their flying machines!" here? It's interesting how le dreaded Destra shows up yet again. Noel in Lupin-X mode gets knocked off. 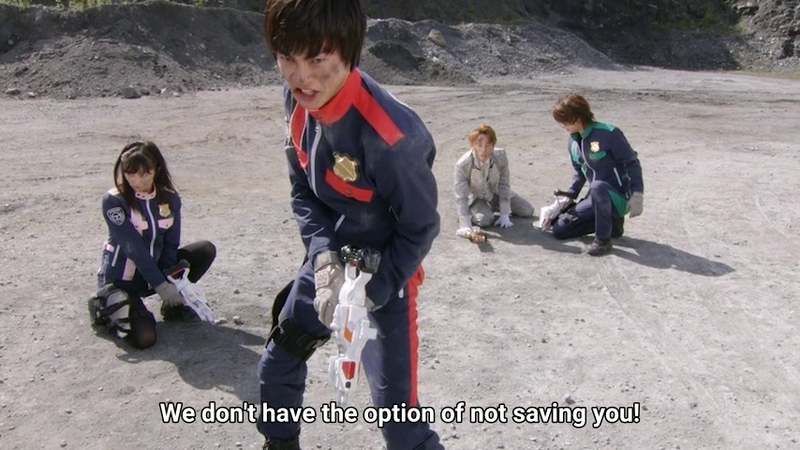 I just thought about how le Patrangers save him in an impact. Now I just thought did the main cast wear the suits here for this scene or did they have stunt doubles? 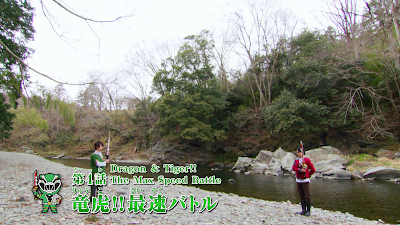 Regardless, it's really somehow getting obvious that le Patranger actors are beaten! I guess they're doing some impressive stuntwork there having to be thrown aside! This scene further helps me think to why I always like Keiichiro the most for this reason -- he may not be intelligent but he still makes up for it with his determination and hard work! 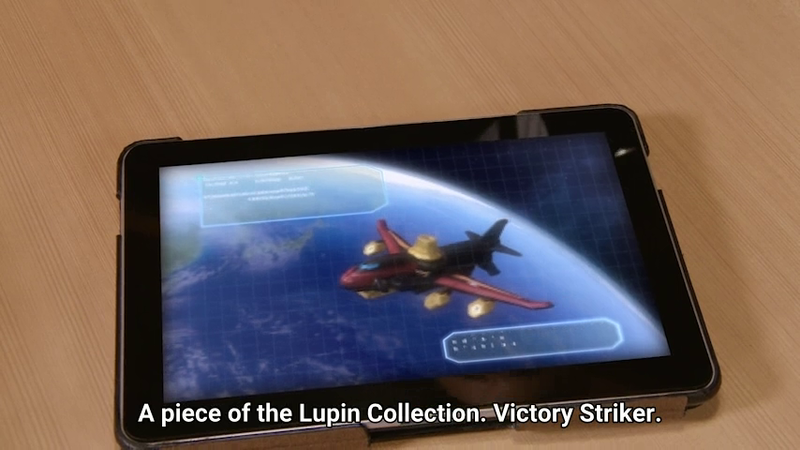 It turns out also that le Victory Striker has a secondary vehicle inside it! Surprising or not -- it's one impressive vehicle! I'm taken back to le good old 80s when there were still that huge carrier mecha to carry vehicles into combat. 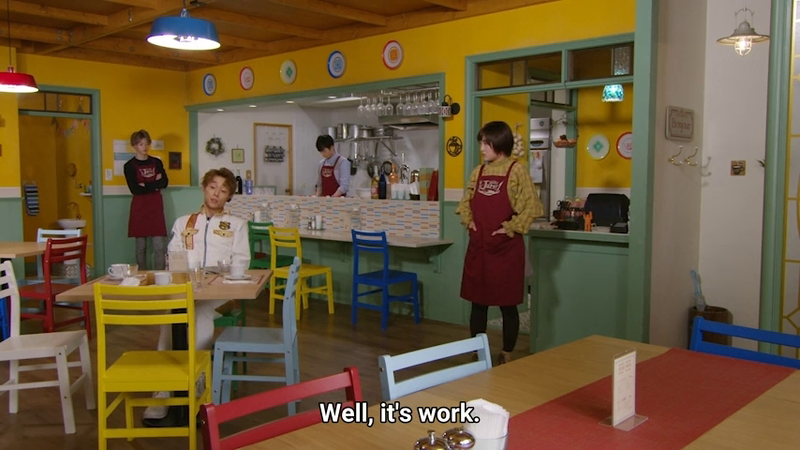 Le concept has been long obsolete though it tends to make a occasional return after Turboranger managed to do away with it. 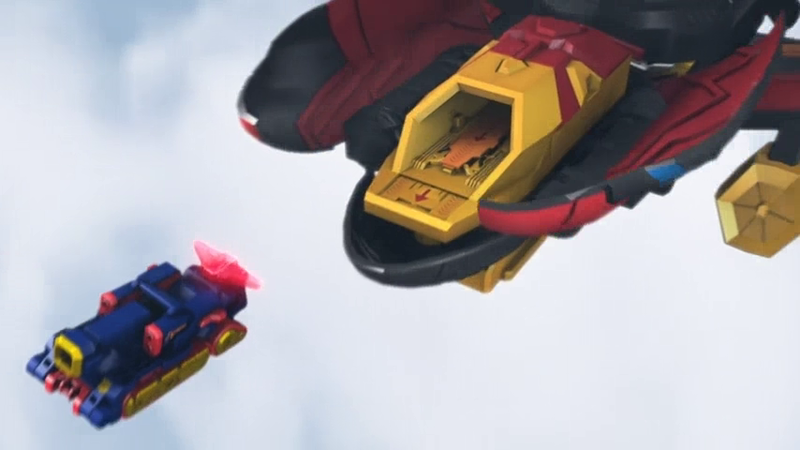 Also, it reminds me of Goranger's Varibloom which has the Varitank inside it! Le new mecha combination is known as le Victory Lupinkaiser. 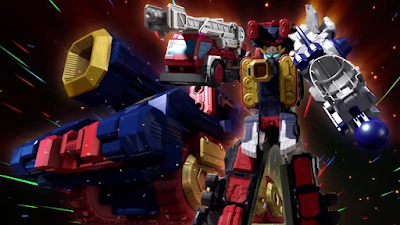 Personally, I wish that this mecha will also combine with le Patrangers' Dial Machines too since I'm currently on their side. 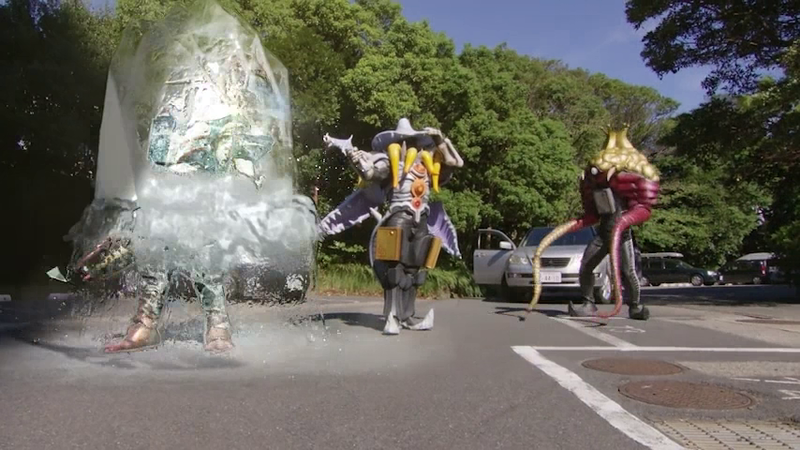 The combination of good suit acting and CGI really makes this scene badass. 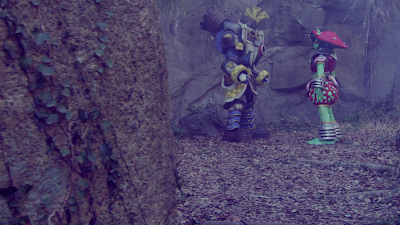 A cool CGI combination that replaced stop motion sinc Gaoranger accompanied by good suit acting! Lupin-X gets a cool new upgrade or not. But it's got impressive firepower that got rid of a giant Gollum. Hmmm I wonder if we coudl actually see this in future episodes? It could be useful in getting rid of le more powerful members of le Ganglers. Meanwhile, Noel is really not in good graces for this reason. 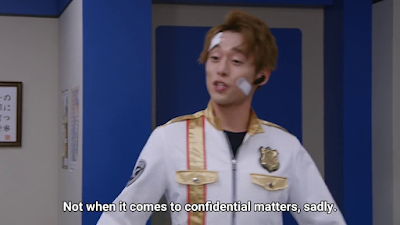 Le Patrangers still don't know who Noel is and why are there confidential matters? It's almost like a financial or tax statement. What's going on with Noel? I guess many of my wild guesses are either true or not -- concerning the wild guess that he's really le young master of le Lupin Household! 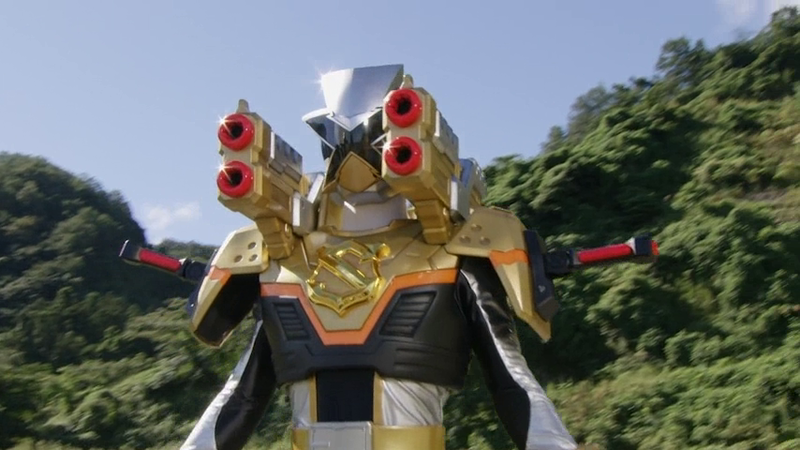 Next week should be a pretty interesting return of Battlizers. 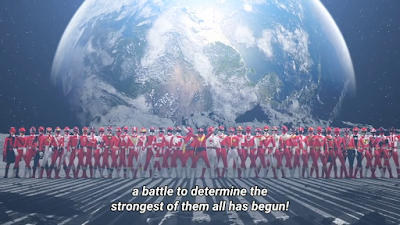 Last year, we've got Kyuranger having Lucky go white in Shishi Orion Red -- which was WHITE! I'd like to see this in action ASAP! But there's no Kiddie Show Sunday ahem Super Hero Time next week so I'll probably just do something else for the meantime!